ITALIANS MIGHT have not made it to the world spectacle: 2018 Russia WC Cup but one thing is certain, they produce best machines on the planet. A belissimo driving is what you’ll experience with Alfa Romeo’s Stelvio SUV. 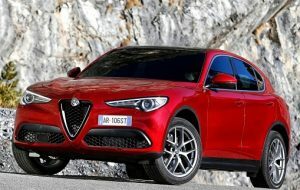 To rev up your mind, please get yourself the Alfa Romeo’s Stelvio SUV, its first in the market. Manufactured at FCA’s plant in Cassino, Italy- this ‘beast’ would make you forget about their Italian team’s absence from the WC. It comes packed with a 2.0-litre turbo petrol, 206kW and 400Nm and power is transferred to all four wheels via an eight speed automatic gearbox. A total of 3 driving modes are offered including Dynamic, Natural (Normal) and Advanced Efficiency. For the uninitiated, the Stelvio reaches 100km/h from standstill in a claimed 5.7 seconds and tops out at 230km/h, as we had a go on it during the test drive. Yes, its for the petrolhead and I concur. It weighs 1660kg, which is the lightest mid-sized SUV in the segment. The engine is built exclusively from aluminium and has been slimmed down with a carbon driveshaft. The engine, which is a real highlight of the car, utilises a twin-scroll turbocharger and pulls with the might of a borehole, as I whipped up Jozi to Soweto -knitting corner after corner like a demon possessed. Oops- I guess Lesley won’t be emailing any speed fines soon? 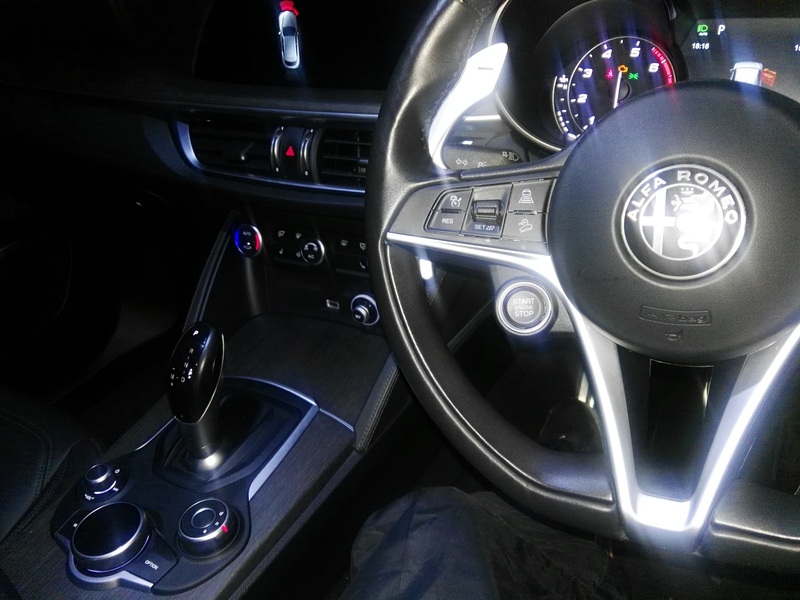 On the interior, the Stelvio’s is almost identical to that of Giulia, thanks to its black leather seats and interior. It is equipped with standard features: a 10 speaker sound system, active cruise control, blind spot monitoring and an electric sunroof. A 14-speaker Harmon Kardon sound system is offered as an option. The keyless feature of Stelvio. Image SLM. Other noticeable interior features include dual-zone climate control and an 8.8-inch Alfa Connect infotainment system with voice recognition, Bluetooth and USB connectivity and navigation. The Stelvio offers a large 525-litre luggage bay (enough to carry somewhat wretched Bafana Bafana) with an electronic tailgate in 3 different opening levels. The only snag: being a petrolhead as I am, it goggled way too much petrol. With the popularity of premium SUVs on sale in mzansi– the Alfa Romeo’s Stelvio ticks the right boxes. It’s available in two derivatives. Stelvio is sold with a 3-year/100 000km warranty and a 6-year/100 000km maintenance plan as standard. 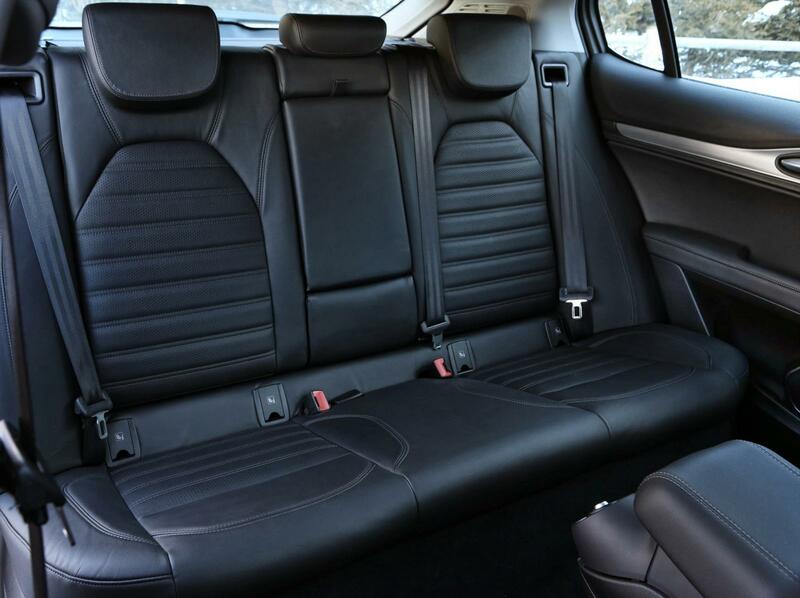 One of the selling points: Leather interior.